I'm an interactive developer located in Ottawa, Canada. I am currently working as a Web / Interactive freelancer. I am available for any interactive projects you have in mind or if you just need some of my expertise, give me a shout. Browse around and check out some of my work. On some cases, you can download the source files to see how I did it. But please remember some files are old (2006) and the code hasn't been updated. The open source community has given so much to me that this is my way of giving back. 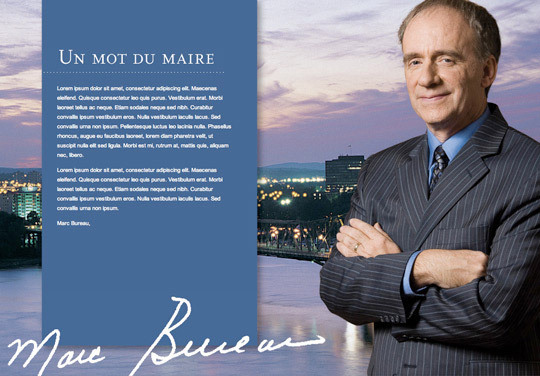 Be advised that some files will probably be commented in French. If you have any questions or comments, use the form below! 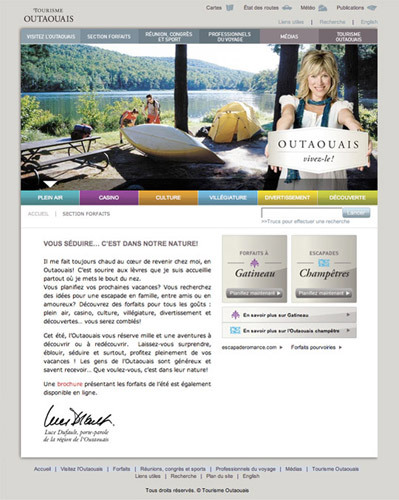 Development of the HTML templates for the new Outaouais Tourism website which were then passed off to a 3rd party for content integration. 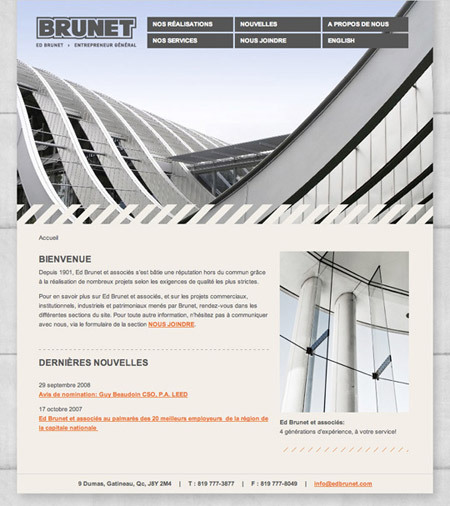 Development of the HTML website integrated in Frog CMS. 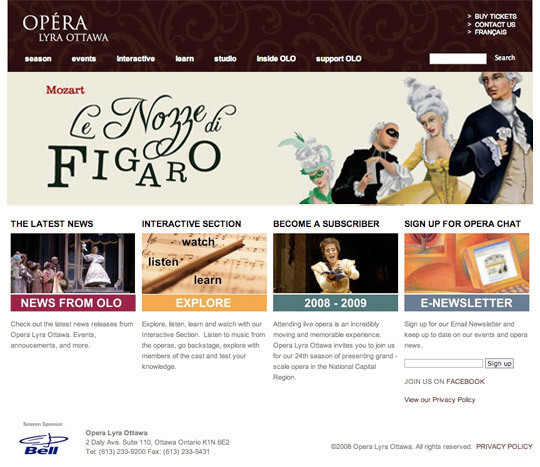 Development of the HTML website integrated in Drupal. 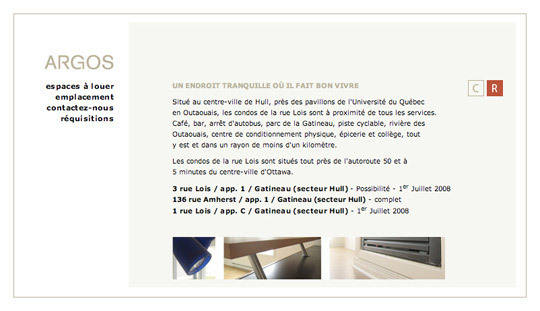 Development of a newsletter Template for the city of Gatineau. Development of a secure intranet where the tenants can receive news, information, reward, etc from the shopping mall administration. Development of the HTML & Flash website.